1. Pfuntner A, Wier LM, Stocks C. HCUP statistical brief #162. 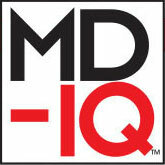 Agency for Healthcare Research and Quality; Rockville, MD: 2013. Most frequent conditions in U.S. hospitals, 2011. Available at www.hcup-us.ahrq.gov/reports/statbriefs/sb162.pdf..
2. FastStats deaths and mortality. Centers for Disease Control and Prevention. Accessed 14 Oct 2015 at www.cdc.gov/nchs/fastats/deaths.htm. 5. Arnold FW, Wiemken TL, Peyrani P, et al. Mortality differences among hospitalized patients with community-acquired pneumonia in three world regions: results from the Community-Acquired Pneumonia Organization (CAPO) International Cohort Study. Respir Med 2013;107:1101–11. 6. Mortensen EM, Coley CM, Singer DE, et al. Causes of death for patients with community-acquired pneumonia: results from the Pneumonia Patient Outcomes Research Team cohort study. Arch Intern Med 2002;162:1059–64. 7. Bordon J, Wiemken T, Peyrani P, et al. Decrease in long-term survival for hospitalized patients with community-acquired pneumonia. Chest 2010;138:279–83. 8. Mortensen EM, Halm EA, Pugh MJ, et al. Association of azithromycin with mortality and cardiovascular events among older patients hospitalized with pneumonia. JAMA 2014;311:2199–208. 9. Aliberti S, Ramirez JA. Cardiac diseases complicating community-acquired pneumonia. Curr Opin Infect Dis 2014;27:295–301. 10. Cangemi R, Calvieri C, Bucci T, et al. Is NOX2 upregulation implicated in myocardial injury in patients with pneumonia? Antioxid Redox Signal 2014;20:2949–54. 11. Violi F, Carnevale R, Calvieri C, et al. Nox2 up-regulation is associated with an enhanced risk of atrial fibrillation in patients with pneumonia. Thorax 2015;70:961–6. 12. Zhang Y, Tocchetti CG, Krieg T, Moens AL. Oxidative and nitrosative stress in the maintenance of myocardial function. Free Radic Biol Med 2012;53:1531–40. 13. Brown AO, Millett ER, Quint JK, Orihuela CJ. Cardiotoxicity during invasive pneumococcal disease. Am J Respir Crit Care Med 2015;191:739–45. 14. Collins SD. Excess mortality from causes other than influenza and pneumonia during influenza epidemics. Pub Health Rep 1932;47:2159–79. 15. Thomson KJ, Rustein DD, et al. Electrocardiographic studies during and after pneumococcus pneumonia. Am Heart J 1946;31:565–79. 16. Esposito AL. Community-acquired bacteremic pneumococcal pneumonia. Effect of age on manifestations and outcome. Arch Intern Med 1984;144:945–8. 17. Meier CR, Jick SS, Derby LE, et al. Acute respiratory-tract infections and risk of first-time acute myocardial infarction. Lancet 1998;351(9114):1467–71. 18. Musher DM, Rueda AM, Kaka AS, Mapara SM. The association between pneumococcal pneumonia and acute cardiac events. Clin Infect Dis 2007;45:158–65. 19. McKee PA, Castelli WP, McNamara PM, Kannel WB. The natural history of congestive heart failure: the Framingham study. N Engl J Med 1971;285:1441–6. 20. Ramirez J, Aliberti S, Mirsaeidi M, et al. Acute myocardial infarction in hospitalized patients with community-acquired pneumonia. Clin Infect Dis 2008;47:182–7. 21. Corrales-Medina VF, Musher DM, Wells GA, et al. Cardiac complications in patients with community-acquired pneumonia: incidence, timing, risk factors, and association with short-term mortality. Circulation 2012;125:773–81. 22. Corrales-Medina VF, Suh KN, Rose G, et al. Cardiac complications in patients with community-acquired pneumonia: a systematic review and meta-analysis of observational studies. PLoS Med 2011;8(6):e1001048. 23. Perry TW, Pugh MJ, Waterer GW, et al. Incidence of cardiovascular events after hospital admission for pneumonia. Am J Med 2011;124:244–51. 24. Smeeth L, Thomas SL, Hall AJ, et al. Risk of myocardial infarction and stroke after acute infection or vaccination. N Engl J Med 2004;351:2611–8. 25. Clayton TC, Thompson M, Meade TW. Recent respiratory infection and risk of cardiovascular disease: case-control study through a general practice database. Eur Heart J 2008;29:96–103. 26. Cangemi R, Calvieri C, Falcone M, et al. Relation of cardiac complications in the early phase of community-acquired pneumonia to long-term mortality and cardiovascular events. Am J Cardiol 2015;116:647–51. 27. Griffin MR, Zhu Y, Moore MR, et al. U.S. hospitalizations for pneumonia after a decade of pneumococcal vaccination. N Engl J Med 2013;369:155–63. 28. Corrales-Medina VF, Taljaard M, Fine MJ, et al. Risk stratification for cardiac complications in patients hospitalized for community-acquired pneumonia. Mayo Clin Proc 2014;89:60–8. 29. Pirez MC, Algorta G, Cedres A, et al. Impact of universal pneumococcal vaccination on hospitalizations for pneumonia and meningitis in children in Montevideo, Uruguay. Pediatr Infect Dis J 2011;30:669–74. 30. Liao WH, Lin SH, Lai CC, et al. Impact of pneumococcal vaccines on invasive pneumococcal disease in Taiwan. Eur J Clin Microbiol Infect Dis 2010;29:489–92. 31. Whitney CG, Farley MM, Hadler J, et al. Decline in invasive pneumococcal disease after the introduction of protein-polysaccharide conjugate vaccine. N Engl J Med 2003;348:1737–46. 32. Kellner JD, Church DL, MacDonald J, et al. Progress in the prevention of pneumococcal infection. CMAJ 2005;173:1149–51. 33. Kim DK, Bridges CB, Harriman KH, Advisory Committee on Immunization Practices. Recommended immunization schedule for adults aged 19 years or older: United States, 2016. Ann Intern Med 2016;164:184–94. 34. Kan B, Ries J, Normark BH, et al. Endocarditis and pericarditis complicating pneumococcal bacteraemia, with special reference to the adhesive abilities of pneumococci: results from a prospective study. Clin Microbiol Infect 2006;12:338–44. 35. Guirguis-Blake JM, Evans CV, Senger CA, et al. Aspirin for the primary prevention of cardiovascular events: a systematic evidence review for the U.S. Preventive Services Task Force. Evidence Synthesis No. 131. Rockville, MD: Agency for Healthcare Research and Quality; 2015. 36. Baigent C, Keech A, Kearney PM, et al. Efficacy and safety of cholesterol-lowering treatment: prospective meta-analysis of data from 90,056 participants in 14 randomised trials of statins. Lancet 2005;366:1267–78. 37. Khan AR, Riaz M, Bin Abdulhak AA, et al. The role of statins in prevention and treatment of community acquired pneumonia: a systematic review and meta-analysis. PLoS One 2013;8:e52929. 38. Chalmers JD, Singanayagam A, Murray MP, Hill AT. Prior statin use is associated with improved outcomes in community-acquired pneumonia. Am J Med 2008;121:1002–7 e1. 39. Master AM, Romanoff A, Jaffe H. Electrocardiographic changes in pneumonia. Am Heart J 1931;6:696–709. 40. Corrales-Medina VF, Musher DM, Shachkina S, Chirinos JA. Acute pneumonia and the cardiovascular system. Lancet 2015;381:496–505. From the Division of Infectious Diseases, School of Medicine, University of Louisville, Louisville, KY. Objective: To summarize the published literature on cardiac complications in patients with community-acquired pneumonia (CAP) as well as provide a historical context for the topic; and to provide recommendations concerning preventing and anticipating cardiac complications in patients with CAP. Results: CAP patients are at increased risk for arrhythmias (~5%), myocardial infarction (~5%), and congestive heart failure (~14%). Oxygenation, the level of heart conditioning, local (pulmonary) and systemic (cytokines) inflammation, and medication all contribute to the pathophysiology of cardiac complications in CAP patients. A high Pneumonia Severity Index (PSI) can be used to screen for risk of cardiac complications in CAP patients; however, a new but less studied clinical rule developed to risk stratify patient hospitalized for CAP was shown to outperform the PSI. A troponin test and ECG should be obtained in all patients admitted for CAP while a cardiac echocardiogram may be reserved for higher-risk patients. Conclusions: Cardiac complications, including arrhythmias, myocardial infarctions, and congestive heart failure, are a significant burden among patients hospitalized for CAP. Influenza and pneumococcal vaccination should be emphasized among appropriate patients. Preliminary data suggest that those with CAP may be helped if they are already on aspirin or a statin. Early recognition of cardiac complications and treatment may improve clinical outcomes for patients with CAP. Community-acquired pneumonia (CAP) is a common condition in the United States and a leading cause of morbidity and mortality [1,2], with medical costs exceeding $10 billion in 2011 . The mortality rate is much higher for those aged 65 years and older . Men have a higher death rate than women (18.6 vs. 13.9 per 100,000 population), and death rate varies based on ethnicity, with mortality rates for American Indian/Alaska natives at 19.2, blacks at 17.1, whites at 15.9, Asian/Pacific Islanders at 15.0, and Hispanics at 13.1 (all rates per 100,000) . CAP causes considerable worldwide mortality, with differences in mortality varying according to world region . Cardiovascular complications and death from other comorbidities cause a substantial proportion of CAP-associated mortality. In Mortensen et al’s study, among patients with CAP who died, at least one third had a cardiac complication, and 13% had a cardiac-related cause of death . One study showed that hospitalized patients with CAP complicated by heart disease were 30% more likely to die than patients hospitalized with CAP alone . In this article, we discuss the burden of cardiac complications in adults with CAP, including underlying pathophysiological processes and strategies to prevent their occurence. The pathophysiology of cardiac complications as a result of CAP is made up of several hypotheses, including (1) declining oxygen provision by the lungs in the face of increasing demand by the heart, (2) a lack of reserve for stress because of cardiac comorbidities and (3) localized (pulmonary) inflammation leading to systemic (including cardiac) complications by the release of cytokines or other chemicals. Any of these may result in cardiac complications occurring before, during, or after a patient has been hospitalized for CAP. Antimicrobial treatment, specifically azithromycin, has also been implicated in myocardial adverse effects. Although azithromycin is most noted for causing QT prolongation, it was associated with myocardial infarction (MI) in a study of 73,690 patients with pneumonia . A higher proportion of those who received azithromycin had an MI compared to those who did not (5.1% vs 4.4%; OR 1.17; 95% CI, 1.08–1.25), but there was no statistical difference in cardiac arrhythmias, and the 90-day mortality was actually better in the azithromycin group (17.4% vs 22.3%; odds ratio [OR], 0.73; 95% CI, 0.70–0.76). 3. Pfuntner A, Wier LM, Steiner C. HCUP statistical brief #168. Agency for Healthcare Research and Quality; Rockville, MD: 2013. Costs for hospital stays in the United States, 2011. Available at www.hcup-us.ahrq.gov/reports/statbriefs/sb168-Hospital-Costs-United-States-2011.pdf. Which of the following statements is/are TRUE regarding study findings of smoking and type 2 diabetes mellitus risk?